Test results showed that methanol-tainted alcohol is the cause behind the mass food poisoning that killed seven people and 31 others hospitalized in the northern mountainous province of Lai Chau earlier this week, the Vietnam Food Administration under the Ministry of Health said yesterday. As per the Ministry of Health’s tests, the three samples of alcohol has the methanol concentration of 970 mg/l; 556, 000 mg/ and 475,000 mg/l respectively. The methanol concentration in wine samples has exceeded the regulation of methanol in alcohol; accordingly, methanol has been identified as the cause of mass poisoning. 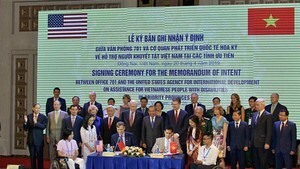 In order to help Lai Chau health sector in treatment of victims, Bach Mai Hospital in Hanoi sent experts to the province. Deputy Head of the Department of Health in Lai Chau Province Dr, Do Van GIang said that more than 30 residents are being treated in local infirmaries. 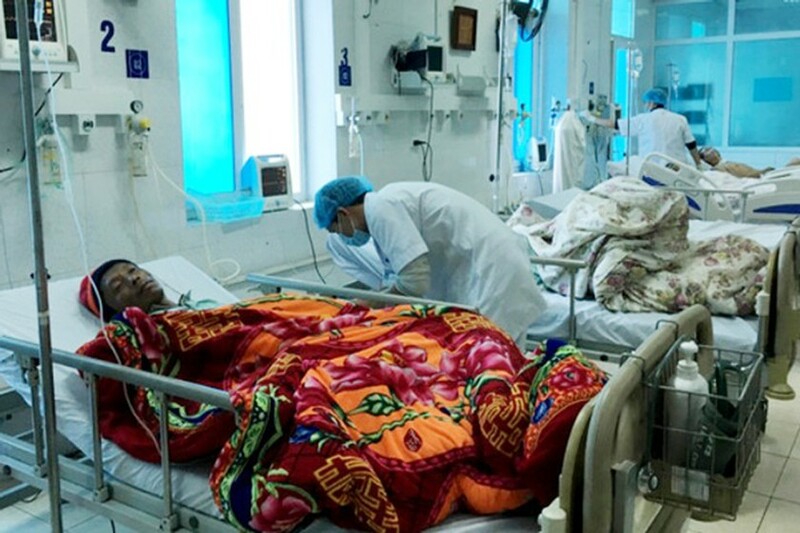 Medical workers of the province’s General Hospital have made all efforts to treat 13 severe patients who are on ventilators and Hemodialysis while less dangerous patients in the infirmary in Phong Tho District are under close observation. A mass food poisoning took place in the northern province of Ha Giang, said the Administration driving 46 locals to hospitalization. All victims suffered the poisoning symptoms after attending the party in Dan Van Commune.